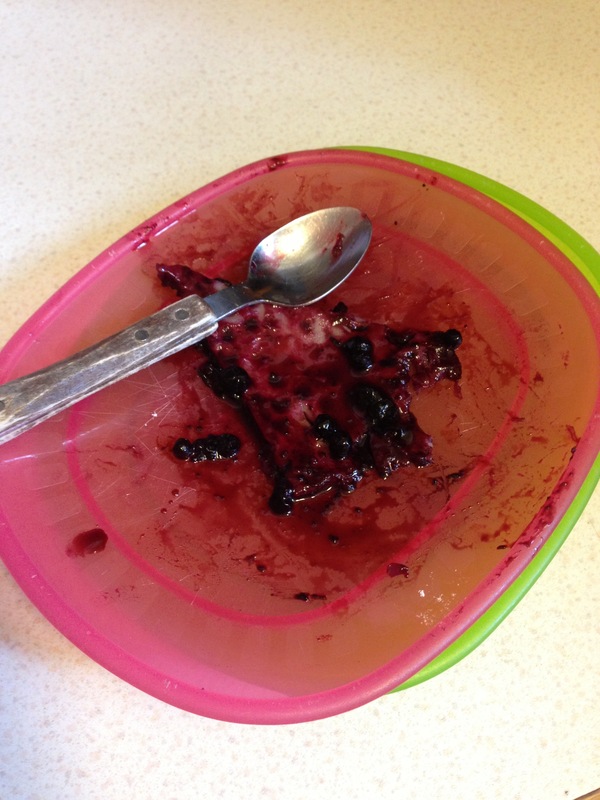 Just because she enjoyed this so much, and just because she was SO proud – I have to show you Maya’s finger-licking blueberry pie…. 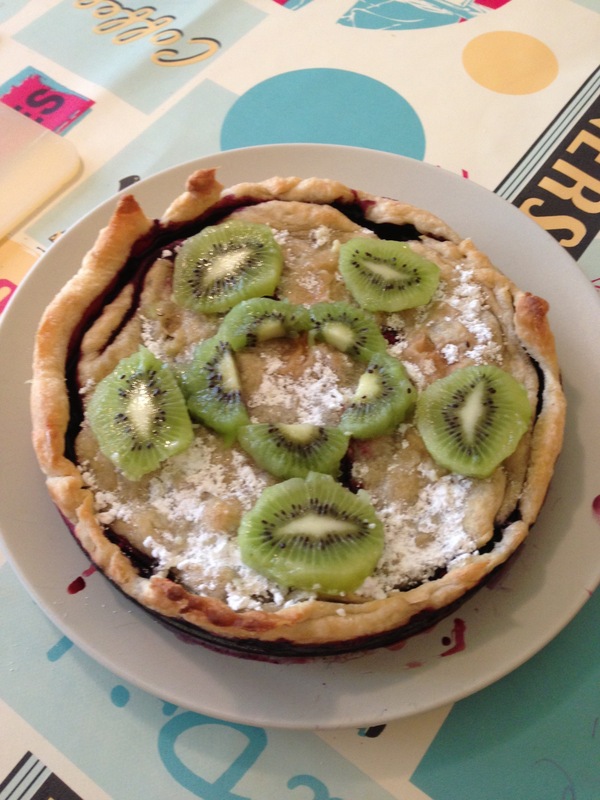 Just a normal pastry made into a pie crust, filled with her own picked blueberries, sprinkled with sugar, a pastry topping – and both kiwi and icing sugar powder on the top! 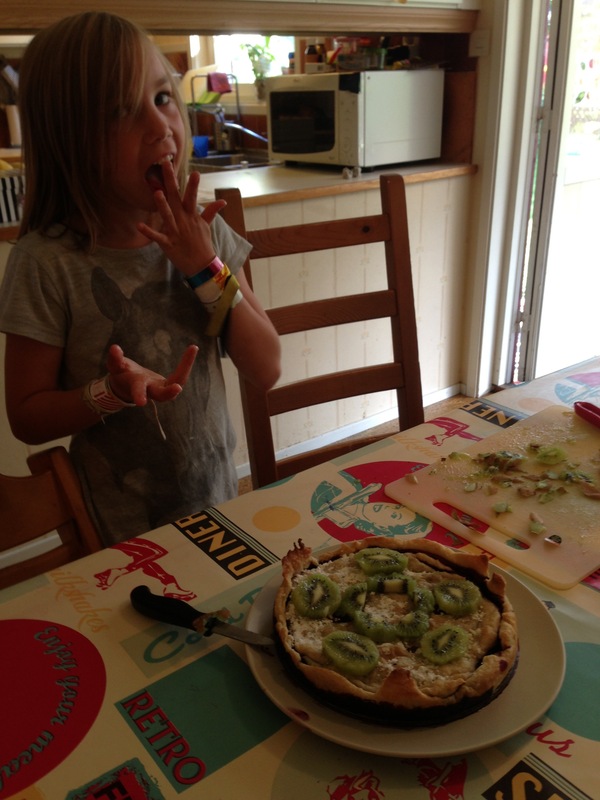 Of course, (almost) every scrap was eaten! Great job Maya! I love that your mom lets you cook and then shares! I just bet your pie was yuuuuuummmmy!